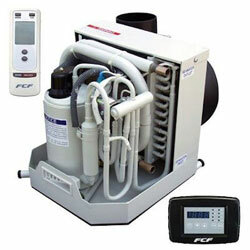 Webasto FCF Series Air Conditioners are tremendously compact, economical and efficient. They are designed exclusively for marine use. Suggested Supply Air: 24 sq. in. Suggested Return Air: 121 sq. in.